WWALS supports the proposed ban on fracking in Florida, by unanimous vote of the WWALS Executive Committee last night. For our Floridan Aquifer, our springs, and our rivers that run into the Suwannee to the sea. The Sunshine State can do what WWALS has helped Georgia do: turn to solar power for new energy. Here’s some background on the bills in the Florida Senate and House and a petition you can sign. Plus you can help pass fracking bans by Florida counties, and there’s a rally at the old capitol in Tallahassee next Wednesday. This ban would also contribute to WWALS long-standing opposition to the Sabal Trail fracked methane pipeline by opposing the fracking that drives new pipelines and LNG export. New York State already banned fracking, as have the entire countries of France, Bulgaria, Germany, and Scotland. Florida can be next. A bill to ban fracking was filed in the Florida Senate in December by Sen. Dwight Bullard, D-Miami, and Sen. Darren Soto, D-Orlando, according to CBS Miami 2 December 2014. The controversy over fracking began earlier this year after the discovery of one company’s oil fracking operations in the fragile Everglades region. Florida Power & Light has asked the state’s Public Service Commission for permission to enter into the natural gas fracking business in Oklahoma. The lawmakers want to preempt any such attempts here in Florida. 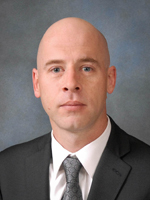 Florida Rep. Evan Jenne (D) filed a bill Monday that outlines the potential problems associated with fracking in Florida, including use of chemicals which, according to the bill, “may pose a widespread and significant risk to public health and safety and the environment.” The bill also cites fracking’s contribution to climate change as a reason to prohibit the practice in Florida: wells have been found to leak methane at such rates that some scientists say any climate benefit from burning low-carbon natural gas is nearly eliminated by the methane that escapes into the air during the fracking process. The bill also noted fracking’s need for large amounts of water, saying that it made the practice irresponsible “at a time when many Florida municipalities are struggling with the impacts that water scarcity may have in the state in the near future.” Banning fracking, the bill states, will “protect the public health and welfare” of Florida…. 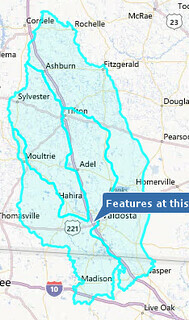 That’s the Florida Aquifer underneath all of WWALS watersheds in Florida and Georgia, the source of almost all our drinking water, and water for agriculture and industry. As a result of the Santa Fe River being severely impacted by a potential new 36″ gas transmission pipeline being designed by Sabal Trail, contracted by FPL and Spectra Energy, to be buried directly through the Florida Springs Heartland and several major waterways/springsheds in our state, we got organized with other groups and citizens in the State of Florida and the world to ban fracking for fossil fuels, such as gas and oil. WWALS, like OSFR, has since early on opposed the Sabal Trail fracked methane pipeline. Now it’s time to ban the problem at its source: the fracking that drives new pipelines and LNG export. That OSFR post has a list of Florida counties considering resolutions to ban fracking. Please help pass those resolutions. Here’s a petition by Food and Water Watch; please sign it. Fracking is an extreme oil and gas drilling practice that threatens our air and drinking water. It has already been illegally done in Naples. Luckily, outraged residents and local groups defended their land and mineral rights by giving those frackers the boot! Our movement is gaining momentum! Right now, there are bills to ban fracking in the Florida state legislature. And more recently, Miami-Dade County passed a resolution supporting these bills and the ban on fracking in Florida. Sign the petition below to ask your Florida state legislators to support and co-sponsor the bills to ban fracking. Follow the link to sign the petition. If you’re in Florida next Wednesday 18 February 2015, 11:30 AM to 1:30 PM, there’s a Floridians for Clean Water & Amendment 1 Rally on the steps of the old capitol, 400 S. Monroe Street, Tallahassee Florida. And you can also write letters to the editor, call your local talk radio stations, and contact your local, state, and national elected and appointed officials. You can support WWALS in that advocacy and conservation by becoming a member or donating to WWALS. This entry was posted in Fracking, Pipeline, Solar and tagged conservation, Florida, fracking, FWW, Georgia, John S. Quarterman, Lowndes County, north Florida, OSFR, pipeline, river, Sabal Trail Transmission, solar, south Georgia, watershed, WWALS, WWALS Watershed Coalition on February 12, 2015 by jsq.